I am reading Rick Atkinson’s Liberation Trilogy on World War 2, which is magnificent reading. I finished the first book in the trilogy, “An Army at Dawn” which centers on North Africa. I am half way done with “The Day of the Battle” concentrating on the war in Italy. The last book, “The Guns at Last Light” goes from Normandy to Germany. Atkinson has a historian’s eye coupled with a novelist’s sensibility. War is life in the extreme where the human condition experiences tragedy as well as triumph. The price we pay for our triumphs are severe and the currency we use are human lives. We don’t celebrate Veterans Day – we honor it. We honor those who have served a higher cause. Enter any military installation in the world and you are immediately extended civility, courtesy, and respect as the orders of the day. There is a core belief that you are part of something greater and more important than yourself. I worked for the American Red Cross and was deployed to Camp Arifjan in Kuwait as well as two deployments in Afganistan at Bagram Air Base. My experience with the US Military is these are the best people we have. 2018 marks our 17th year of taking injured service members fly fishing down the Smith River and our 10th year of working with Project Healing Waters Fly Fishing. 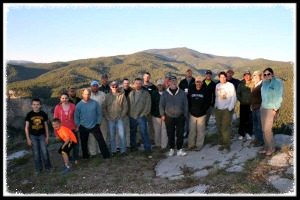 PHWFF is a non-profit organization using fly fishing as a rehabilitative tool for wounded and disabled veterans. I would add that it is also a rehabilitative tool for the volunteers, fly fishing guides, shuttle drivers and our customers bearing witness to real life sacrifice, fortitude and courage exemplified by the men and women in uniform. We are simply better united. 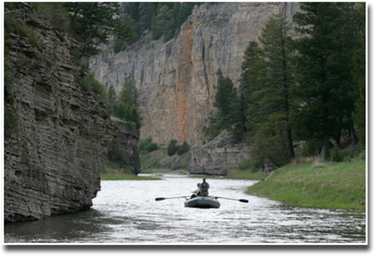 Each year we offer the men and women from Project Healing Waters a trip down the Smith River in Montana. The reason for the offer is simple – this is the best that we have to give. Five days of floating and four nights of camping covering 60 river miles. But at its best, floating the Smith River is a retreat into time. It is getting life simple – a trout stream, companionship, a fly rod, a campfire, good food and great beauty. I believe the Smith River is what every true fly fishermen dreams of. “All the Way Home” is a documentary by producer, director and cinematographer, Ed Nachtreib, on a trip we did with disabled veterans a few years ago on the Smith River. I believe it does justice to both the veterans as well as the Smith River. The documentary is an honest look at a few soldiers coming back home after the second Gulf War. The prologue to Erich Maria Remarque’s “All Quiet on the Western Front” is a constant flashpoint in my mind to the cost of war. These few sentences haunt me and are constant reminder that we have both an obligation and responsibility to the men and women in uniform. A copper mine is proposed on a tributary of the Smith River in Montana. I am not against mining but I am against this mine on this river. As I float down the Smith with each bend filled with a kind of sacred awe, I know that there is nothing worth jeopardizing the beauty and integrity of these waters and this landscape. The following videos give you a feel for the Smith River as well as the importance of preserving it. The following video was created by our guest, Anthony Rabasca, in 2013. We also encourage you to offer written comment to Montana’s Department of Environmental Quality (DEQ) on the proposed mine. 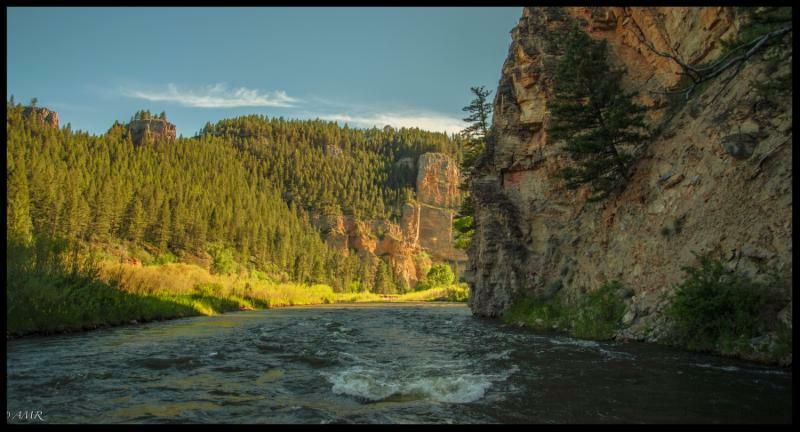 SMITH RIVER – WHY WAIT? We are the largest commercial outfitter on the Smith River. There are 73 commercial trip permits through the Montana Parks division and we have 26 of them. We start floating the river the first of May and the first trip we do is with Project Healing Waters Fly Fishing. Some years, it can be an eco-challenge with a mixture of high water and snow. It is what it is; and, every trip down the Smith is remarkable. Whether the water is too high or too low, or the weather inclement; the Smith is worth doing. The Smith River beats the hell out of sitting around watching TV. The Smith is about living. The main floating and fishing season starts in May and ends sometime in July when we run out of water. We supply seasoned guides, excellent camping gear, permits for the river, all the fishing equipment, good food and literary insights. On the river we are dining on Ahi tuna, pork tenderloin, hand-cut New York steak; sipping fine wine and contemplating the nuanced differences between Sarte and Camus, both avid fly fishermen. (Sarte being a dry fly purist, and Camus when in doubt, always fished tungsten bead-headed nymphs with a 20 foot leader; albeit, with no indicator. No small feat even for a French existentialist.) There is a guide for every two fishermen. 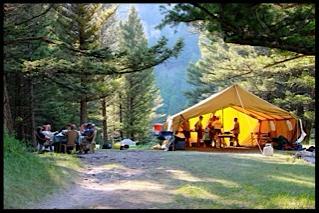 Six man tents for every two clients, complete with cots and therma-rest pads. Solar showers upon request and room service is not out of the question. Starbucks should not play Christmas music before the Thanksgiving holiday. The NFL should eliminate the TV timeout. Democrats should get rid of the Super Delegates. April is a great month to fly fish in Montana. Bigger fish and less people. Life is better with a fly rod in your hand. 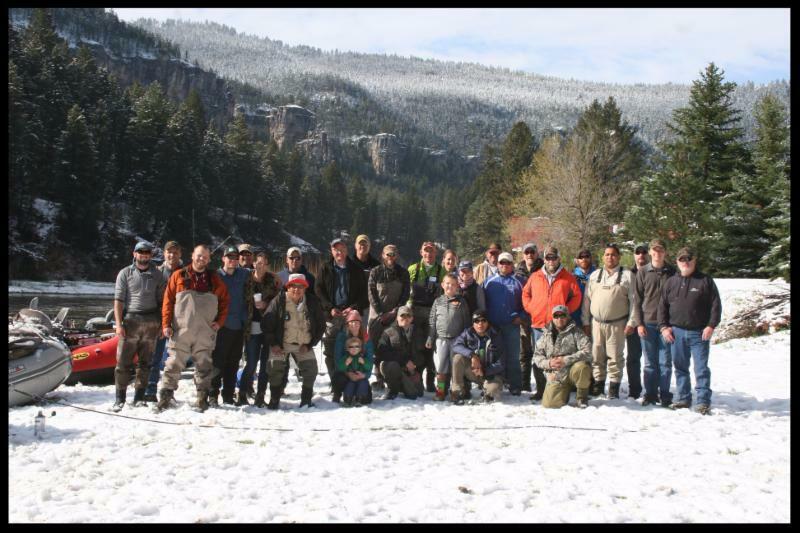 Fly Fishing Schools at Healing Waters Lodge in April 2018. Help us help Project Healing Waters by fishing with us and the Vets at Healing Waters Lodge, July 4-9, 2018. There, over a 1,000 words, you can call me an over achiever.